Late last night we got another press show and this time it was the PC gaming show. Although we didn’t watch the show, we’ve been scouring the net for all the information that was talked about, here is a roundup of the show. He mentioned that there will be the introduction of new vehicles and all the resources needed to repair and look after them. He also mentioned that DayZ will see a single player version come to the game, where players will be able to play offline that will allow modders to test out their custom content. They also said that they will be fully embracing the Steam Workshop. Source. Phil Spencer also made an appearance. He started off by acknowledging that Microsoft had kind of lost its way with PC gaming. “There have been times in our past where Microsoft has maybe lost our way with PC gaming,”. But with Windows 10 coming soon this represents an opportunity to work on this. He also announced that Killer Instinct will be making its way to PC. “We’re going to bring Killer Instinct to the PC, and we’re going to allow people to play on PC, to play on console, to play back and forth.” Source. It’s not just KI making its way to PC too. 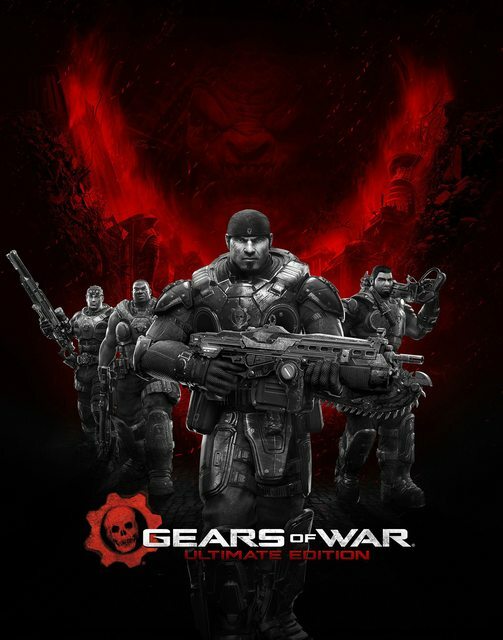 Rod Fergusson from The Coalition also confirmed that Gears of War Ultimate Edition will also be playable on PC, although cross platform gameplay won’t be available. It will run at 4K and feature DX12 support. Source. Moving on to more techincal stuff, AMD announced a new video card – AMD R9 Fury. Leading the pack is AMD’s new R9 Fury X, a liquid-cooled powerhouse with the company’s new “Fiji” GPU design and highest-bandwidth memory technology. At $649, it’s going head-to-head with NVIDIA’s 980 Ti. But if you don’t need all that power, there’s also the Radeon R9 390X ($429), R9 390 ($329), and R9 380 ($199), all of which offer Direct X 12 support (making them ideal for Windows 10) and enough power to let you game in 4K (though we’d imagine that’d be a stretch with the cheaper entry). And if you’re just looking something affordable, there’s also the R7 370 ($149) and R7 360 ($109), which are more focused on delivering solid 1080p gaming. Just like NVIDIA, AMD now has new cards for just about every gaming price point. If you’ve got the dough and care about getting as much graphics power as possible, the R9 Fury X is made for you. If you want the most bang for your buck, the $329 R9 390 might be your best investment (it’s also the same price as NVIDIA’s GTX 970). AMD isn’t divulging technical details around the new cards yet, but we’re expecting to hear more later this week. Blizzards Chris Sigaty also took to the stage to announce the next expansion for Star Craft 2 – Legacy of the Void. During the show three Whispers of Oblivion prologue missions were announced, these will bridge the gap between Heart of the Swarm and Legacy of the Void. We also got some news on Guild Wars from Colin Johanson. Guild halls allow your guild to claim a piece of Tyria; taking up residence in the jungle to build and decorate a new home. From there, guilds will be able to hang out, launch missions and form teams with which to challenge other guilds. You can check out some more detailson the new expansion Heart of Thorns here & here. A new Total War: Warhammer game was also teased during the show. Dean Hall was back to talk more about the new game he announced during the Microsoft show Ion. We also got to see Bohemia’s next terrain for Arma 3. Tanoa, a south Pacific setting coming in Arma 3’s expansion in early 2016. Finally and probably one of the bigger announcements was that No Man’s Sky will be coming to PC, not only that, but it will be launching at the same time as the PS4 version of the game, as Hello games founder Sean Murray confirmed during the show. Many thought would be exclusive for a certain time period on PS4, and it was one game that had almost convinced me to go out and buy one, but now, I think I will just get it on PC. Now, as I said, we didn’t to watch this live – being on at 2am, so I think I’ve covered every major announcement from the show, but there is a chance I might have missed something. Either way, what was shown was a pretty good line up and this years E3 conferences have been very impressive on the whole. E3 2016: Microsoft – What to expect! ?